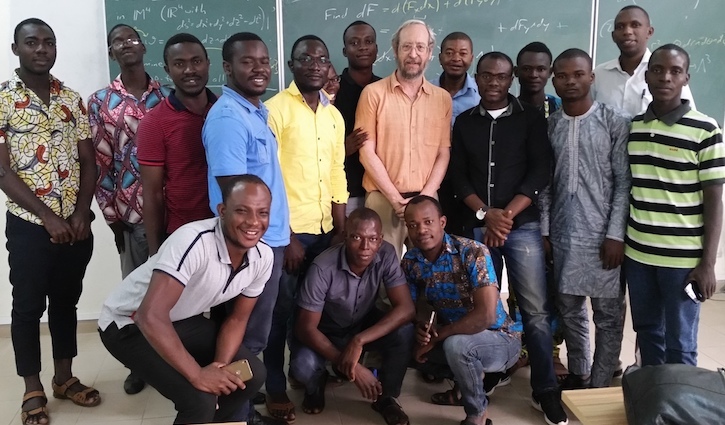 Professor of Mathematics Tevian Dray recently returned from three weeks in West Africa. Through the Visiting Lecturer Program of the International Mathematical Union (IMU), he was invited to teach a graduate course in Lorentzian Geometry and General Relativity at the Institut de Mathémathiques et de Sciences Physiques (IMSP) of the Université de Abomey-Calavi in Benin. The IMSP is an African Centre of Excellence in the Mathematical Sciences, sponsored by the World Bank, with additional support from the Abdus Salam International Centre for Theoretical Physics. 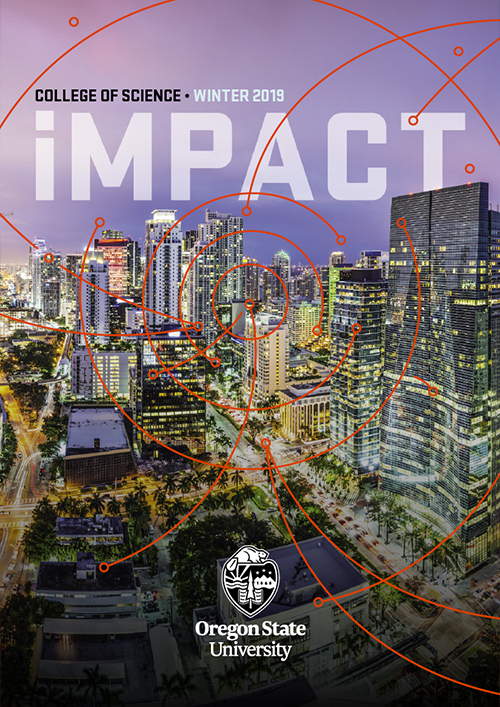 The IMSP attracts students from across West Africa; Dray’s course was attended by students from Burundi, Cameroon, Congo, Guinée, Mauritania, and Togo, in addition to Bénin. The working language at the IMSP is French, although the course was given (mostly) in English. While at the IMSP, Dray also gave a colloquium entitled “Using active engagement to teach mathematics,” which led to several extended conversations about pedagogy. Dray has extensive international experience teaching mathematics, including several previous stays in India, although this was his first visit to West Africa. He was very well taken care of by his hosts, but was only starting to figure out how to manage on his own by the time he left. Everything from the cuisine (fried cheese in spicy peanut sauce accompanied by pounded yams) to transportation (the only “taxis” in the capital city of Porto-Novo are motorscooters) to the scenery (a village on stilts in a lake — a World Heritage site) was new and different. Formerly known as Dahomey and a French colony until 1958, Benin is the birthplace of the voodoo religion and was the historical departure point for most slaves originating in West Africa. “My most vivid impression of the trip was the apparent lack of friction between different groups– rich and poor, Catholic and Muslim, boss and employee, shopkeeper and customer, and, last but not least, tourist and local,” said Dray. Dray is a geometer whose research interests include general relativity, applications of nonassociative algebra to particle physics, and student learning of “middle-division” mathematics such as vector calculus. He is the author of several books on these topics, a Fellow of the American Physical Society, and an award-winning teacher.